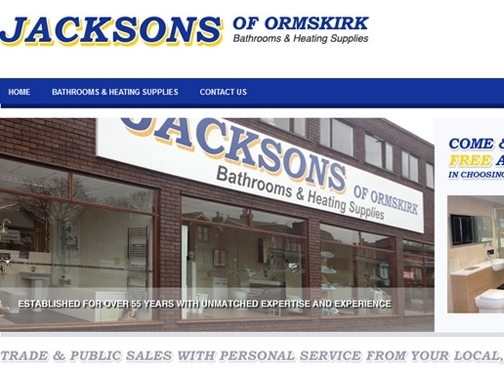 Jacksons of Ormskirk provide an extensive range of bathroom and plumbing supplies to traders and domestic customers throughout Lancashire, If we dont have something in stock please enquire and we can order it in for you! UK (Ormskirk, Lancashire) based company - established in 1957 - providing bathrooms and heating supplies. Website includes details of solutions and services provided, associations belonged to (FSB), details of highstreet showroom, full company contact details. Signs of Trust rating: 4 out of 5.